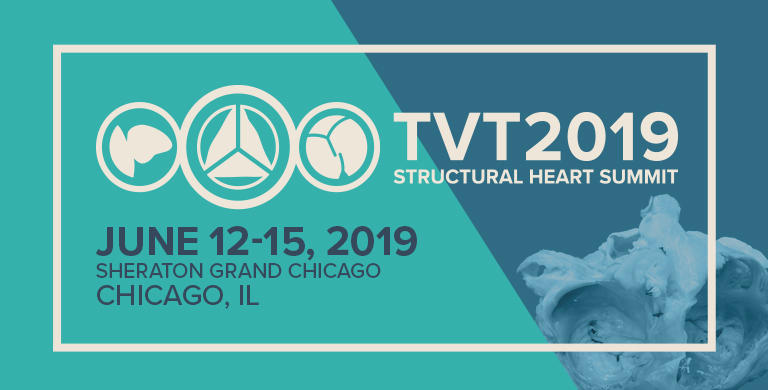 Any activity, event, or meeting that is held during TVT 2019 that is targeted toward or includes any participants of TVT is considered an affiliated activity and must be approved by the Cardiovascular Research Foundation (CRF), the official sponsor of TVT. Organizations (commercial companies, not-for-profit groups, government agencies, etc.) that wish to hold meetings of any size or nature in any location during TVT that are targeted to TVT attendees must complete the appropriate applications for activity, be approved, and comply with the guidelines. Affiliated activity guidelines are subject to change. A non-refundable administrative fee of $150.00 (US) is required for each approved affiliated activity. Additional fees may apply. All appropriate fees must be paid in full within 30 days of the billing date. Failure to do so will result in loss of space. Access to TVT approved promotional opportunities and attendee list is not permitted for promotion of affiliated activities. Companies, organizations or individuals that wish to host an affiliated meeting must submit the appropriate application below. All applications must be received by Friday, May 10th, 2019. Investigator Meetings provide an opportunity for investigators to network and share the latest scientific data on clinical trials. CRF will offer a number of private rooms at the conference center for companies to conduct investigators meetings. Meeting space is limited and will be assigned on a first-come, first-served basis. The fee for a confirmed TVT 2019 demo companies is $595.00 (USD) for a minimum of four hours or $970.00 (USD) for more than four hours. The fee for a non-confirmed TVT 2019 demo companies is $895.00 for a minimum of four hours or $1,345.00 (USD) for more than four hours. Room set and audiovisual are not included. Upon approval, the sponsoring companies must works directly with the Sheraton Grand Chicago to make arrangements pertaining to the proposed meeting. Any direct costs associated with the function (e.g. food, beverage, audiovisual equipment, and labor) are the responsibility of the activity sponsor. In addition, CRF is offering a limited number of private rooms at the Sheraton Grand Hotel for companies to conduct these meetings. Meeting space is limited and will be assigned on a first-come, first-served basis. Personnel meetings may be held at any time during TVT if attendance is limited to that organization’s representatives. Physician attendees are strictly prohibited from participating in these meetings. Violations of TVT’s Affiliated Activities Rules and Guidelines will be reviewed and sanctions may be applied. Please see the Consequences for Noncompliance section for more information. Important note: CRF requests that TVT faculty not commit to conflicting speaking engagements. TVT faculty responsibilities and obligations to the official program take precedence over all others speaking arrangements at the meeting. TVT faculty members participating in any such event are subject to having their faculty status revoked including any reimbursement of expenses otherwise authorized. Cancellation or reduction of meeting space within 48 hours of request, the company will be refunded 100% of paid meeting fees minus the $150 administrative fee. Cancellation or reduction of meeting space after April 5, 2019, the company will forfeit 100% of the total meeting space and administrative fees. Any direct costs associated with the function (eg, rental fees, food, beverage, audiovisual equipment, and labor) are the responsibility of the affiliated activity sponsor. The sponsor is also liable for any injuries or accidents to people or property while conducting ancillary functions. The TVT logo or any part of the TVT logo may not be used on any non-TVT materials, such as websites, publications, signs, fliers, etc, that did not originate from or were not developed by TVT without the express written permission of TVT. In addition, no entity may imply either directly or indirectly that it is in any way affiliated with TVT without the express written permission of TVT. Once the affiliated activity has been approved, the language below is permissible. This “meeting name” has been approved as an affiliated activity during TVT 2019. This meeting is not sponsored by, endorsed by, or supported by TVT or CRF. Any substantive changes to an affiliated activity application must be reported to CRF. Substantive changes include date, time, location, attendees, and major agenda changes. If you are in doubt of whether a change is substantive, please contact Fernanda Swan at fswan@crf.org. If an affiliated activity is found to have violated the Guidelines for Affiliated Activities (above), the sponsoring organization, the supporting organization, and the organizer of the meeting may be prohibited from holding an affiliated activity at future CRF conferences, may have their current registration revoked, non-compliance may be subject to fines and damages, and could negatively impact the registration/status/attendance of those attending an unapproved affiliated activity. TVT faculty members participating in any such event are subject to having their faculty status revoked including any reimbursement of expenses otherwise authorized.